Welcome, one and all, to our 25th, Silver Anniversary season! 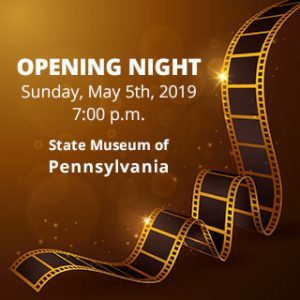 Join us at the State Museum for our Opening Night celebration on Sunday May 5th, then block out your calendars from Friday, May 10th through Thursday, May 16th, as we return to Midtown Cinema for a week of international films and special events. On Closing Night we will wind up the celebration of our quarter-century on the Harrisburg scene by returning to where it all began: the Jewish Community Center, where our final screening of the Festival will be followed by a delicious and unlikely dessert reception. We can hardly wait – See you at the movies!